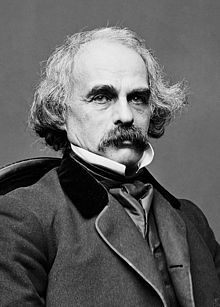 Nathaniel Hawthorne's ability to weave worlds of plaintive beauty is somewhat at odds with his family background. His ancestry, which stems back to the Salem witch trials of 1692, contains a bloody, judgmental history used to dramatic effect in his novels and short stories. For Hawthorne, the sins of the father being passed on through subsequent generations was a haunting image, which he believed shadowed his own family. The following is a personality profile of Nathaniel Hawthorne based on his work. Nathaniel Hawthorne is shrewd and somewhat inconsiderate. He is laid-back, he appreciates a relaxed pace in life. He is empathetic as well: he feels what others feel and is compassionate towards them. But, Nathaniel Hawthorne is also intermittent: he has a hard time sticking with difficult tasks for a long period of time.